For many people, “getting started” is the hardest part of working out. The trick: to develop a ritual. For example, your ritual could be as straight-forward as booking a gym class on your lunch break, to ensure your next workout is always scheduled in. Or it could be to pack your car with a fresh gym bag each morning, so that when work’s over, you’re ready to immediately hit the gym or pool. Both ideas make getting started that much simpler. Rituals can extend to habits which ensure you won’t give up half way through a work out, such as always filling up your water bottle, or making sure your phone is fully charged so your music won’t cut out midway through a session. When repeated each day you exercise, rituals become easy to do, helping you build a workout-positive mindset and lasting habit. One of the biggest reasons people fail to build an exercise habit is because they don’t set aside time for it in their calendar. The bottom line is, exercise doesn’t just happen on its own; you must proactively make time for it. The best way to do this is to schedule your workouts on your calendar. Treat them the same as a doctor’s appointment. Tell people that during this time, you’re busy and not to be disturbed (unless, of course, they’re working out with you!) This will help prioritise your workouts, meaning they’re less likely to slip off the chart as you juggle more of life’s demands. When it comes to the best time to work out, this will depend on your work/life schedule. Everyone’s different, so experiment until you find the times that are best suited to you. 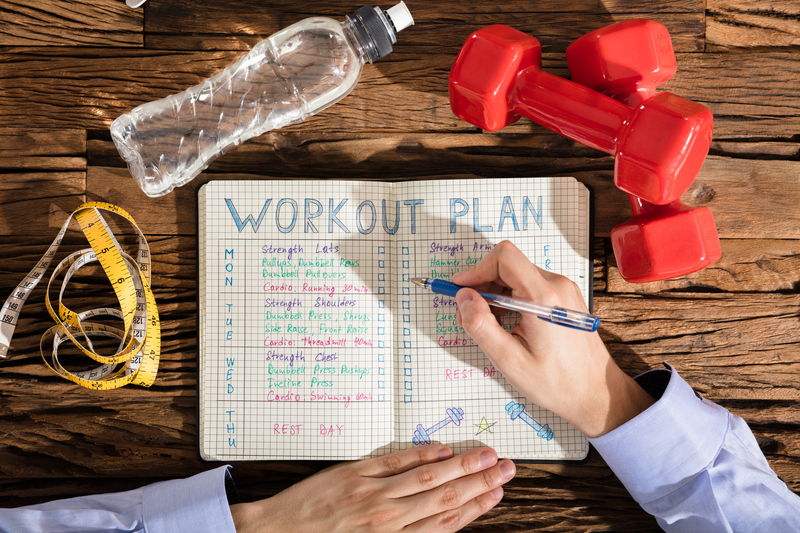 As the saying goes, “A goal without a plan is just a wish.” So, if you’re going to form an exercise habit, you’ll need a plan in place, with a clear target. An example of a target could be to increase muscle mass, lose body fat, or run a marathon. Have something to aim for and ideally set yourself a deadline. Another thing to bear in mind when creating an exercise plan is, don’t get sucked in to thinking that you need to go big or go home. To give yourself the best chance of success, you must do away with the “conquering Mount Everest” image and start by choosing exercises that are enjoyable; this way, you’ll always get them done. Completing these smaller exercises will not only give you a regular sense of achievement, keeping you motivated in the initial stages of your exercise journey, but will also give you a solid base from which to build. Keeping a record of your exercise activities can have major benefits – physically and psychologically. Being able to see the progress you’ve made over time – and the rate at which it’s happened – can be motivational. It can also show you the stage you’re at within you’re exercise journey and provide you with the ‘bigger picture’ needed to be successful. Importantly, it will help you to identify what’s working versus what isn’t. And by cross-referencing your workout record with relevant articles and guides, you’ll be able to determine whether you’re headed in the right direction and should stick with what you’re doing, or taking it too easy and not pushing yourself hard enough to achieve your target. Nowadays, there are many great apps that you can use to keep an exercise record. Some people are weight lifters. Some are cyclists. And some are swimmers. And some of us don’t know what we are yet. And that’s fine. There’s always time to find out. Perhaps you’re all three, or something entirely different. When it comes to ways of working out, you may not enjoy road cycling, but love indoor spin classes. Or go queasy at the thought of lifting weights alone, but love hitting the iron as part of a small group training session. The point is, you don’t need to stick to one type of exercise, class or piece of equipment. Try them all. Mix them up. And don’t feel like you need to exercise in a certain way just because you’re being told to by some person or magazine. Test them out and find what really hits the mark with you as a person and exerciser. Forming a habit – exercise or otherwise – as already suggested is not something that can be achieved overnight. Like all good things, it takes time. In a study conducted by Dr Phillippa Lally, a health psychology researcher at University College London, it took people anywhere from 18 to 254 days for a new behaviour to become automatic. On average, taking 2 months, or 66 days to be precise! Lally’s research showed that if you want to form a habit, you need to set your expectations appropriately. Often, it’s more of a marathon, less of a sprint. But have in mind that each time you commit to working out, you’ll be one step closer to reaching your magic number. The day when exercise becomes a habitat, whether it’s 20 days or 200. And by that point, you’ll be so engaged in your exercise routine and new lifestyle that you probably won’t even notice when that day has passed. Interestingly, Lally’s research also established that “missing one opportunity to perform the behaviour did not materially affect the habit formation process.” Basically, it doesn’t matter if you have the odd “off day” – when you’d rather sit at home in your PJs than lift kettlebells in the gym. Building better, healthier habits is not an all-or-nothing process. Instead, maintaining an overall level of consistency is key. Forming an exercise habitat takes time and dedication, but it doesn’t have to be hard. Prioritise your workouts by scheduling them on your calendar, create rituals that help you to get started, find something you enjoy, have a plan with a clear target, log your progress, be as consistent as possible, and start really, really small! Essentially, focus on habit first and results later. 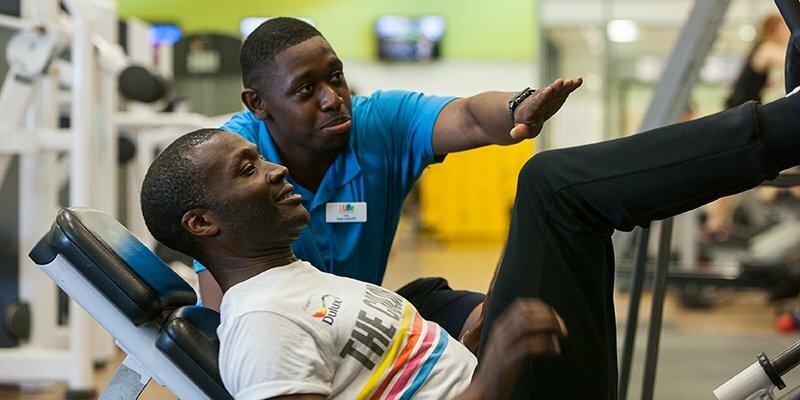 For further help and support on your New Year goals, call into your 1Life centre to speak to a member of our team. Find your 1Life centre here.